Oculus has said it&apos;s looking to enforce a &quot;quality-first approach&quot; for any games and apps published for its new 6DOF all-in-one VR headset, the upcoming Oculus Quest.In a recent blog post (thanks, The Verge), publishing director Chris Pruett stated the company plans to set a &quot;high bar for content quality&quot; in a bid to &quot;make the Quest VR content ecosystem successful for both developers and players&quot;. Consequently, developers looking to publish games for Quest will be expected to demonstrate the &quot;quality and probable market success&quot; of their games.&#xA0;&quot;In addition to making a great VR headset, we feel a strong responsibility to make the Quest VR content ecosystem successful for both developers and players,&quot; Pruett said. &quot;The Rift ecosystem has taught us that VR players respond to titles that have polish, substance, and depth, whether they are built by AAA game studios or talented indies. We hope that when players get into their Oculus Quest headset their library showcases the innovation, sophistication, and development talent that exists in VR today, and inspires future developers.&quot;To get to that bar, we have to start with a quality-first approach. High-quality, innovative titles tend to be expensive to build, and developers need confidence that they are shipping into an ecosystem that will generate a return on investment. We&apos;ve set a high bar for content quality on Quest, higher than we&apos;ve ever enforced before, in order to build a platform where everyone has confidence in the quality of the titles they&apos;re buying and developers know that their investments have a strong chance of success.&quot;Instead of finding out at the end of a project that a game isn&apos;t suitable for Quest, Pruett believes the company will be able to intimate the chance of success much earlier in the development cycle. Passing &quot;this early review&quot; will also &quot;unlock direct support and resources from Oculus&quot;.&quot;The goal of this change is developer success on our platform. If we feel that your app is not a fit for Quest, we&apos;d like to let you know that early in the development process, before you&apos;ve made significant production investments, rather than at the end,&quot; he said. &quot;That means it&apos;s important to submit a concept document for review as early in your development cycle as possible. Those titles that pass this early review unlock direct support and resources from Oculus to help you make your title as high quality as it can possibly be. This new process is specific to Oculus Quest: no changes have been made to our application submission system for Rift or Oculus Go.&quot;Facebook CEO Mark Zuckerberg announced the company&apos;s next headset, Oculus Quest, last September. 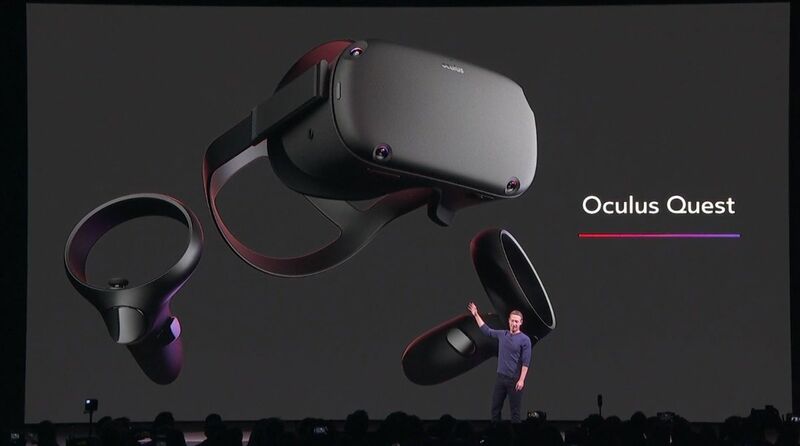 The big selling point is that it&apos;s a completely wireless, 6DOF all-in-one system&#x2014;it doesn&apos;t even have external sensors&#x2014;but still offers &quot;Rift-quality experiences,&quot; according to Zuckerberg.&#xA0;While the Oculus Quest isn&apos;t as powerful as the Rift, could it be the future of VR?